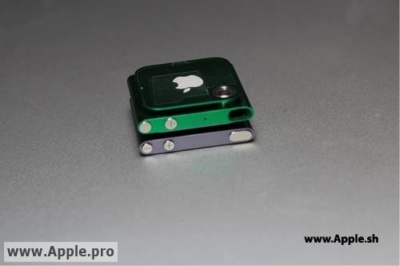 Last April, Apple.pro posted a photo of what appeared to be an iPod nano with a hole in the rear casing that was said to be for a camera. 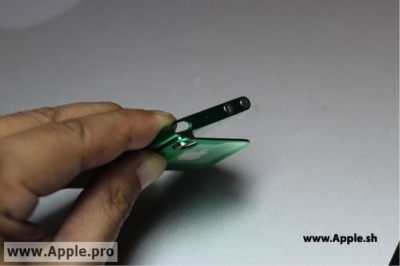 A second photo showing a clipless design casing for the device and claiming that it would carry a 1.3-megapixel camera. 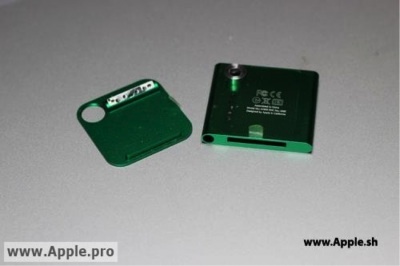 Now Apple.pro published a series of new more detail images showing the camera-enabled iPod nano casing. The device retains its clip-on design with a metal housing for a camera that is protruding from the back of the main case and sitting flush with a hole in the device's clip. Such design allows building the camera into the current form factor. 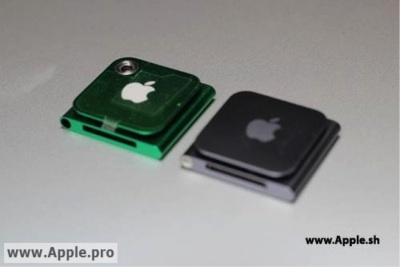 Apple might move much lens and sensor hardware outside of the main casing.